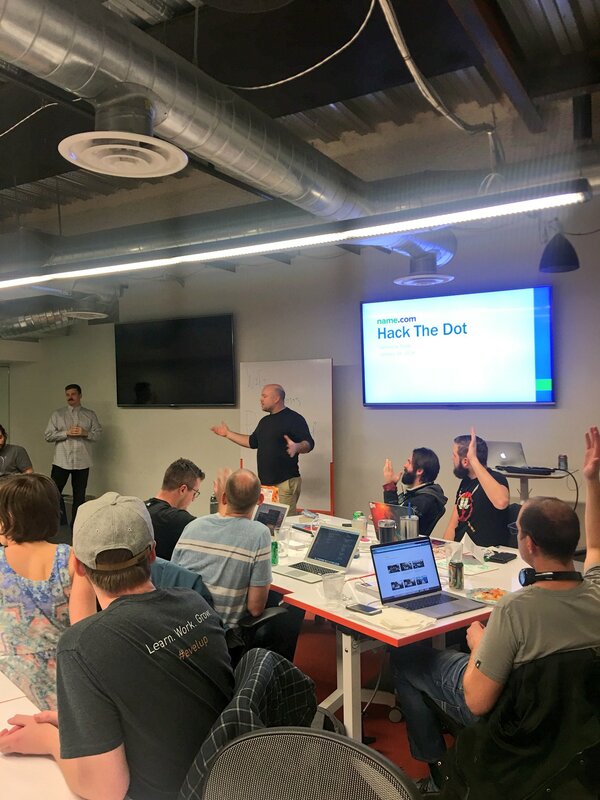 Hack the Dot is a two-hour hackathon event that brings together coding students, marketers, designers, and developers of all levels of expertise to create a fun product in a short amount of time. 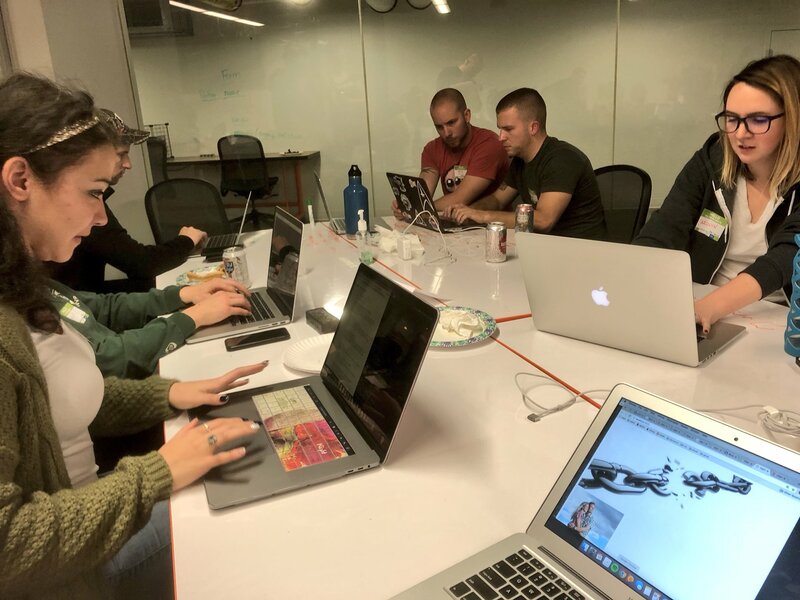 Participants will develop a functional (and humorous) project based on a secret domain name while interacting with like-minded individuals in the tech community. I’m not a developer. Can I still come? Hack the Dot is for anyone willing to share ideas and work with others to create something great. Even if you don’t know how to code, there will be someone on your team who will be able to bring your ideas to life. How does a typical Hack the Dot work? Show up at the scheduled start time and we’ll assign you to a team. You’ll have a little bit of down time where you can eat pizza, drink some beer, and get to know your teammates. We’ll go over the rules and reveal the secret domain name that will serve as inspiration for your Hack the Dot project. Then you’re off! Your team will have two hours to create the coolest project you can come up with. PLEASE HOLD! Working on a Portland HtD. 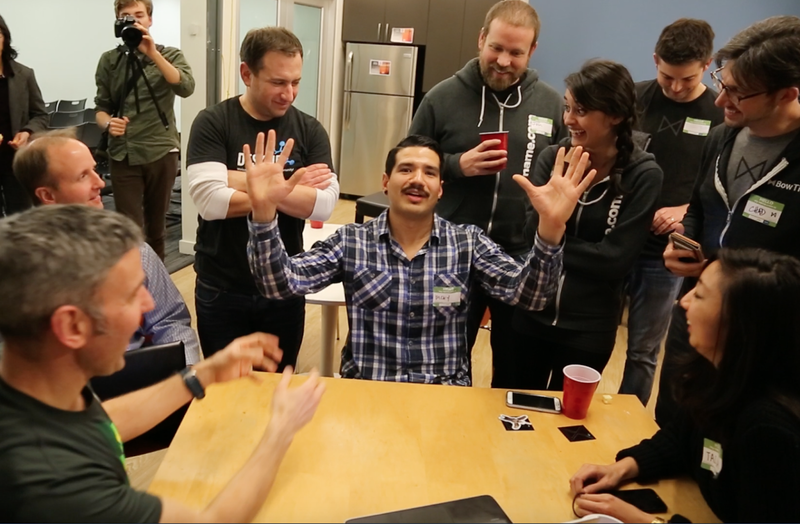 "Hack the Dot is an absolute blast! Our students love it and the event always engages the community. It's a perfect low-pressure way to have individuals from all walks life interact, collaborate, and showcase the transformative power of technology."